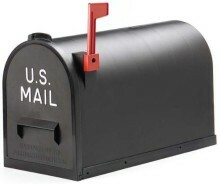 The USPS will be doing away with CAPS in April 2019; there is new system called EPS (Enterprise Payment System) that mailers can convert to. Below are the steps to take, as usual The Dingley Press is always ready to help. Click here for the documentation regarding on-boarding. Should you have any questions or need help with the on-boarding you can reach out to Lynda.Hurley@dingley.com and she will be happy to assist you. If funding a permit through cash, check, or money order at a RSS you no longer have to go to the assigned Post Office, you can go to any Post Office.